LEVIATHAN, OR the Matter, Forme, and Power OF A COMMONWEALTH, ECCLESIASTICALL AND CIVILL. By THOMAS HOBBES of Malmesbury. LONDON. Printed for ANDREW CROOKE, at the Green Dragon in St. Pauls Church-yard, 1651. LEVIATHAN : OF VAN DE STOFFE, GEDAENTE, ende MAGT Vande KERCKELYCKE ENDE WERELTLYCKE Regeeringe. Befchrevendoor THOMAS HOBBES Van MALMESBURY TOT AMSTERDAM By JACOBUS WAGENAAR, Boeck-verkooper op de hoeck van de Mol-steeg. ANNO 1667. Thomae Hobbes Malmesburiensis. Opera philosophica, quae Latinè scripsit, omnia. Antè quidem per partes, nunc autem, post cognitas omnium objectiones, conjunctim & accuratiùs edita. Amsterdam 1668. 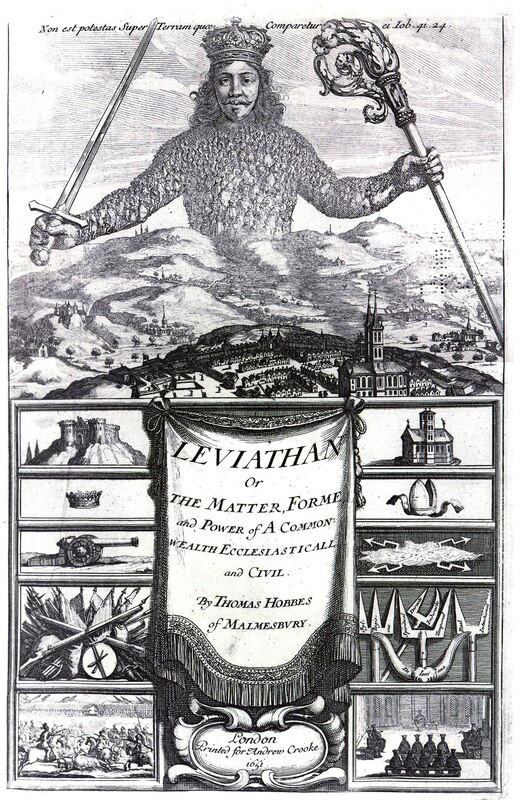 LEVIATHAN, SIVE de Materia, Form, & Potestate CIVITATIS ECCLESATICAE ET CIVILIIS. AUTHORE THOMAS HOBBES, Malmesburienfi. AMSTELODAMI. Apud JOANNEM BLAEV. M.DC.LXX. Leviathan. Edited by C. B. MacPherson. London: Penguin Books 1958. Leviathan with selected variants from the Latin edition 1668. Edited by Edwin Curley. Indianapolis: Hackett Publishing Company 1994. Leviathan. Edited by J.C.A. Gaskin. Oxford University Press, Oxford 1999. Leviathan. A Critical Edition by G. A. J. Rogers and Karl Schuhmann. Continuum International Publishing Group. London 2005. Leviathan, Critical edition by Noel Malcolm in three volumes: 1. Editorial Introduction; 2 and 3. The English and Latin Texts. Clarendon Edition of the Works of Thomas Hobbes. Oxford University Press, 2012. Leviathan, eli, Kirkollisen ja valtiollisen yhteiskunnan aines, muoto ja valta. Suomentanut Tuomo Aho. Tampere: Vastapaino, 1999. “No illustration of or quotation about a theory of state has engendered so provocative and image as that of leviathan; it has become more like a mythical symbol fraught with inscrutable meaning. In the long history of political theories, a history exceedingly rich in colourful images and symbols, icons and idols, paradigms and phantasms, emblems and allegories, this leviathan is the strongest and most powerful image.” (Carl Schmitt). 2. Of Imagination, 3. Of the Consequence or Trayne of Imaginations. 5. Of Reason, and Science. 6. Of the Interiour Beginnings of Voluntary Motions; commonly called the PASSIONS. 7. Of the Ends or Resolutions of Discourse. 8. Of the Vertues, commonly called Intellectual and their contrary Defects. 9. Of the severall Subjects of Knowledge. 10. 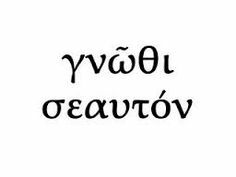 Of Power, Worth, Dignity, Honour, and Worthinesse. 11. Of the Difference of Manners. 13. Of the Naturall Condition of Mankind as concerning their Felicity and Misery. “Nature hath made men so equall, in the faculties of body, and mind; as that though there bee found one man sometimes manifestly stronger in body, or of quicker mind then another; yet when all is reckoned together, the difference between man, and man, is not so considerable, as that one man can thereupon claim to himselfe any benefit, to which another may not pretend, as well as he. “Luonto on tehnyt ihmiset niin yhtäläisiksi ruumiin ja mielen kykyjen suhteen, että vaikka joskus löytyisi ihminen, jolla on selvästi vahvempi ruumis tai nokkelampi mieli kuin toisella, kaiken kaikkiaan ero ihmisten kesken ei kuitenkaan ole niin suuri, että yksi ihminen voisi sen nojalla vaatia itselleen mitään etua, jota toinen ei yhtä hyvin voisi tavoitella. 14. Of the first and second Naturall Lawes, and of Contract. 15. Of other Lawes of Nature. 17. Of the Causes, Generation, and Definition of a Common-wealth. 18. Of the Rights of Soveraignes by Institution. 19. Of severall Kinds of Common-wealth by Institution; and of Succession to the Soveraign Power. 20. Of Dominion Paternall, and Despoticall. 21. Of the Liberty of Subjects. 22. Of Systemes Subject, Politicall, and Private. 23. Of the Publique Ministers of Soveraign Power. 24. Of the Nutrition, and Procreation of a Common-wealth. 27. Of Crimes, Excuses, and Extenuations. 28. Of Punishments, and Rewards. 29. Of those things that Weaken, or tend to the Dissolution of a Common-wealth. 30. Of the Office of the Soveraign Representative. 31. Of the Kingdome of God by Nature. 32. Of the Principles of Christian Politiques. 33. Of the Number, Antiquity, Scope, Authority, and Interpreters of the Books of Holy Scripture. 34. Of the signification, of Spirit, Angell, and Inspiration in the Books of Holy Scripture. 35. Of the signification in Scripture of the Kingdome of God, of Holy, Sacred, and Sacrament. 36. Of the Word of God, and of Prophets. 37. Of Miracles, and their use. 39. Of the Signification in Scripture of the word Church. 40. Of the Rights of the Kingdome of God, in Abraham, Moses, the High Priests, and the Kings of judah. 41. Of the Office of our Blessed Saviour. 43. Of what is Necessary for a mans Reception into the Kingdome of Heaven. 44. Of Spirituall Darknesse from Misinterpretation. of Scripture. 45. Of Demonology, and other Reliques of the Religion of the Gentiles. 46. Of Darknesse from Vain Philosophy, and Fabulous Traditions.